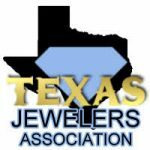 Are you looking to sell your gold in Houston? Look no further. Houston Gold Buyers has been the #1 place to sell your gold in Houston since 1993. Located in the same location at 1330 Westheimer Rd, near Montrose Blvd in the heart of Houston. No big malls or strip centers, no big parking lots or dark parking garages to walk through. Pull right up to our front door and walk right in. When you sell your gold to Houston Gold Buyers you will receive immediate payment. No waiting for a check in the mail, wire transfer, or post dated checks. You sell your gold today you get paid today. What makes us the #1 place to sell your gold in Houston? Just check out our google reviews . While it is impossible to make every person happy we do maintain an extremely high google rating. We do occasionally fall victim to the internet troll but our good reviews greatly outshine our bad ones. Our reputation is everything to us. Making sure our customers leave happy, whether you sell your gold or not is our #1 goal. We will gladly evaluate your gold items and give you a price for what we will buy them for. There is no obligation to sell to us and we will never pressure you to sell your gold. In some cases when you come to sell your gold jewelry in Houston, we will buy it as jewelry not just scrap gold. The item needs to be in good shape and in current styles. A good rule of thumb is if you wont wear it chances are no one else will either. So when you finally decide to sell your gold in Houston, make sure to give us a call at 713-521-2160 or stop by our showroom at 1330 Westheimer Rd. We look forward to being able to assist you.